We have recently posted a description of the Imbros gorge on the site and today we would like to present you a short video of our trip to this place. This gorge is sometimes called Samaria in miniature and its narrowest place is only 1.6 meters wide. In our opinion, its advantage is that it is not so crowded. We invite you to a short film presenting the first edition of the Greek Panorama, which was organized in 2015 in Warsaw at Torwar. 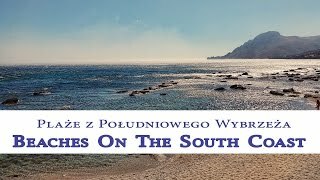 In the video below you will have the opportunity to see several beaches from the south of Crete. Most of them are in the middle of the islands. A full list of places shown in the movie can be found below. We invite you to watch and of course to visit these beaches. 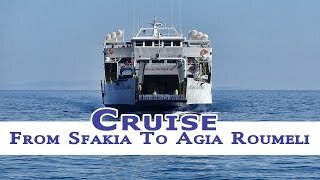 The film was made during the cruise between Chora Sfakion and Agia Roumeli. Along the way from the ferry, you can admire many interesting places located on the south coast of Crete such as the road to Anopoli, charming Loutro, beaches in Phoenix, the outlet of the Aradena gorge, Marmara beach and the green hills of Agia Roumeli.